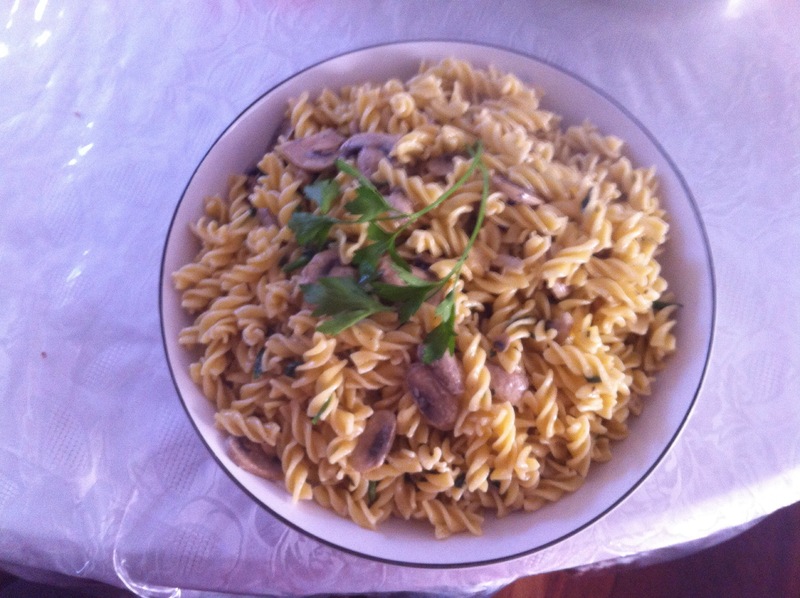 My mum had a bowl of this pasta too and she told me she liked the taste. This is worth writing here because my mother rarely eats pasta, especially not in favour of cream-based sauces. So her approval of this one is a good sign. 🙂 I myself had two bowls while typing this up (and watching Game of Thrones — I love Arya Stark by the way; whenever she’s on screen I’m the most interested). This was my first time cooking with fresh parsley and not a pre-prepared paste. I made my parents buy it for me last night at the produce market planning to use it for pasta and roasted vegetables. I’m very satisfied with the taste and I’m glad I didn’t put any coriander in this. I think it would have overpowered the mushroom and garlic flavours in the cream, unlike the lime juice which complements it nicely without any overt tanginess. Boil pasta according to the packet’s instructions. 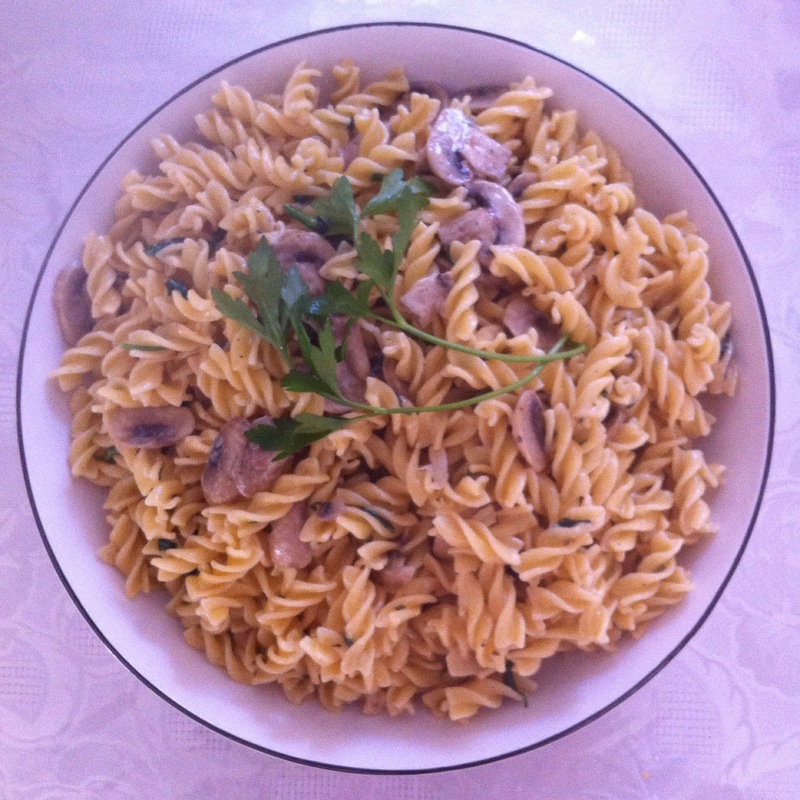 Wash and slice mushrooms while pasta boils, then wash the parsley and chop it up. 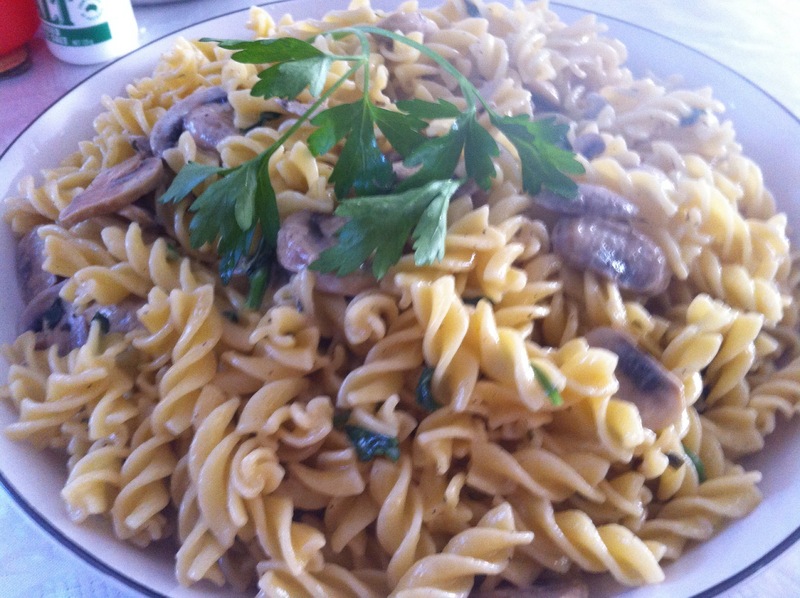 Drain pasta and then add olive oil to a pot on medium – high heat. Add a sprinkling of salt and then toss in the mushrooms when the oil has heated up. Stir and coat all of them in oil so the mushrooms become tender. Crush the garlic with the side of a knife or with a mortar and pestle. Add to pot and continue stirring. Add black pepper and bit more salt. Now stir in the cream and pour in the lime juice. Once all the of it is combined add the parsley. Finish by adding the pasta to the pot. 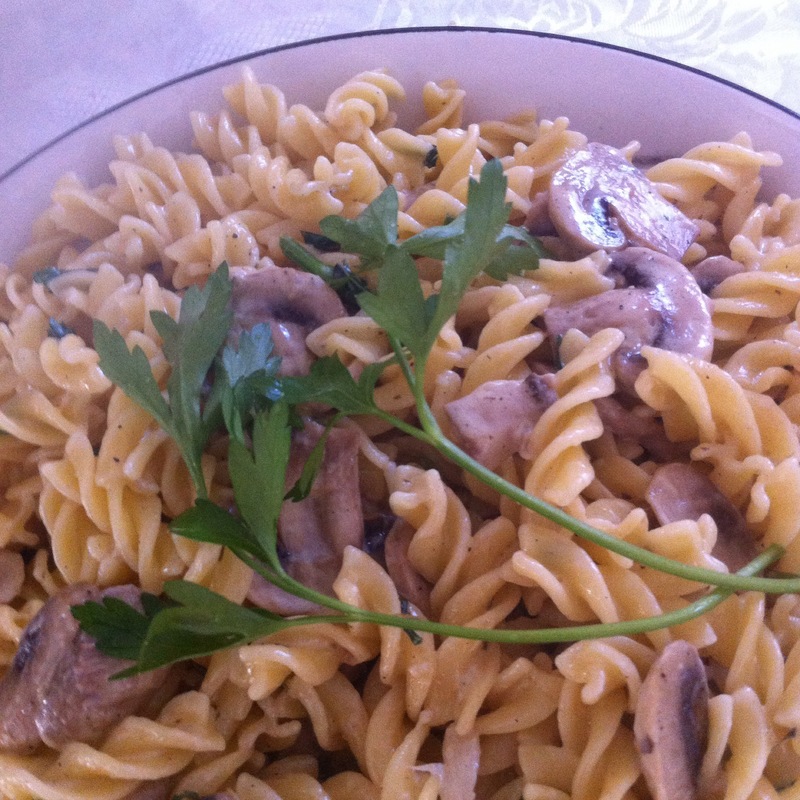 Stir it all until the sauce coats everything and the parsley and mushrooms are dispersed throughout the pasta. 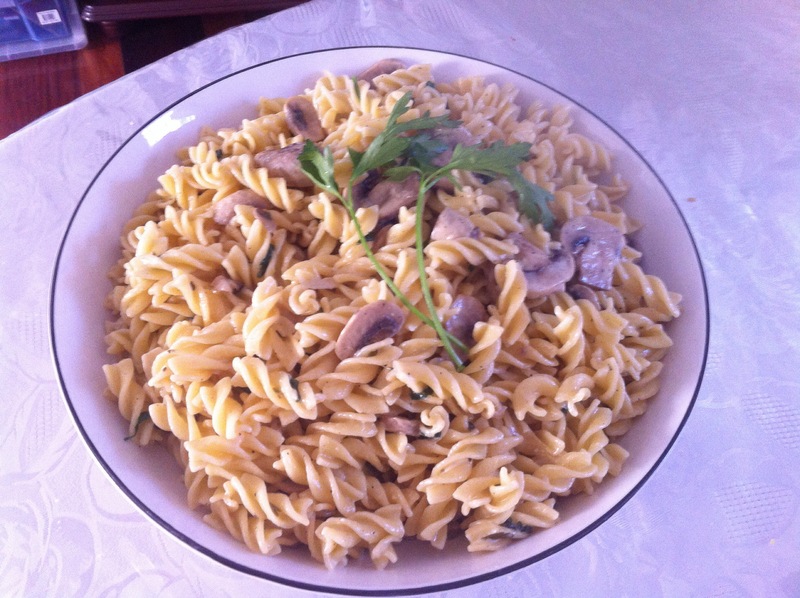 Turn off stove and serve pasta in large dish. Put some parsley sprigs on top for garnish if desired. 1 tsp of garlic paste can replace two fresh garlic cloves. 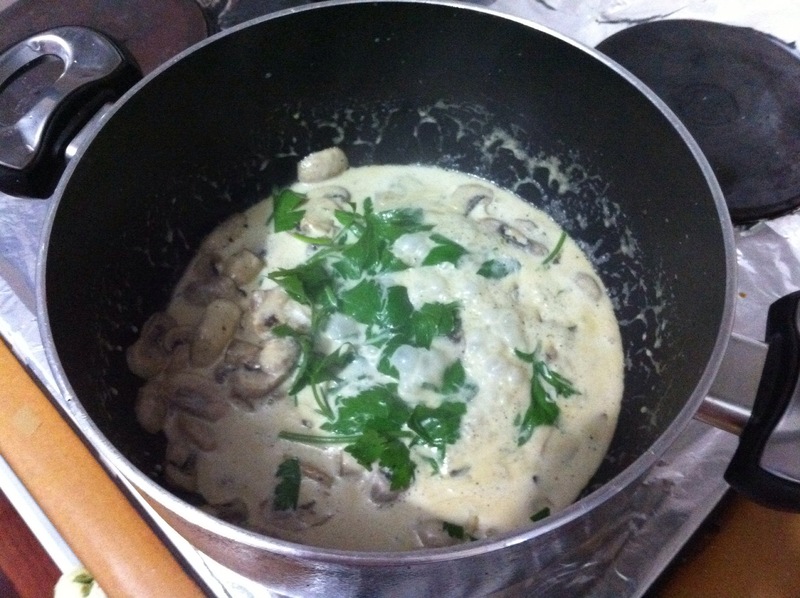 Increase the amount of mushrooms and parsley if you use more than 200 ml of cream. This sauce is not excessive that it would leave a lot at the bottom of a dish or bowl. It’s pretty much just enough to cover the pasta without extra. You can substitue lemon juice for lime juice. Previous Post Baked mango cheesecake. Next Post White chocolate lime cheesecake.